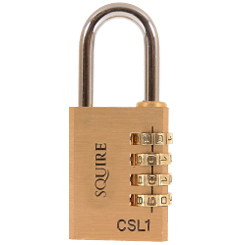 SQUIRE have been trading since 1780 and with this they bring unrivalled experience in lock making. They’ve recognised the need for better solutions in security problems and their range expands across brass, solid steel and chrome padlocks as well as steel chains, key-safes and bolts. From the traditional Old English to those designed for Marine conditions, SQUIRE have a lock for almost every outfit. Whilst simple on the eye, the durable constructions and weather resistant covers are effective and fit for purpose. These long-standing solutions is what puts SQUIRE ahead of the rest. See what they have in store for you at My Tool Shed.